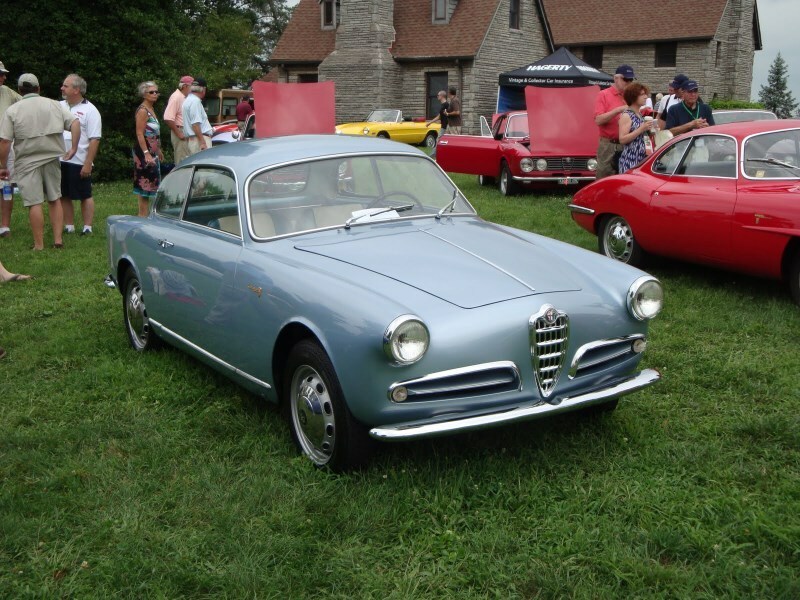 A group from NYAROC, Mike Bange, George Pezold, David Rivkin & John Catera attended as well as Mike, George, John and Frank LaSala from the AROC-CT chapter. 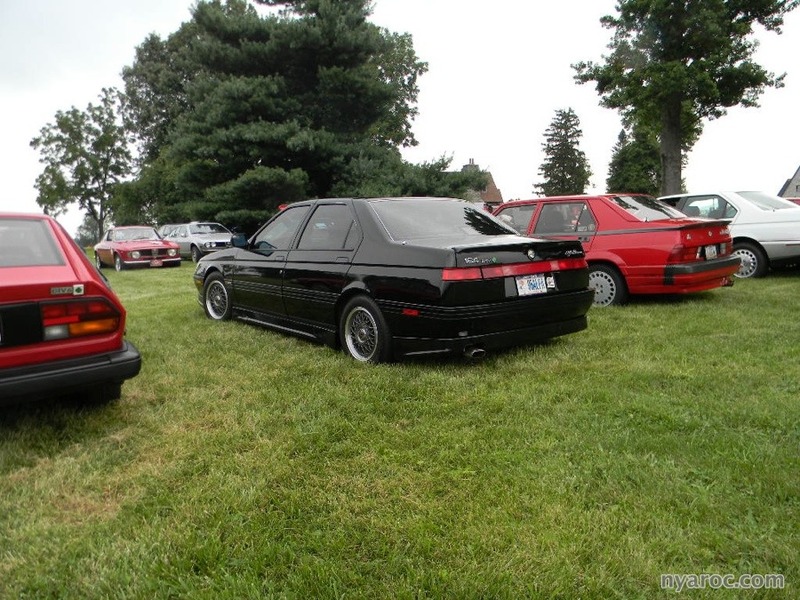 AROCNY members drove down together in a caravan of 2 Alfa 164’s and a Nissan(!) 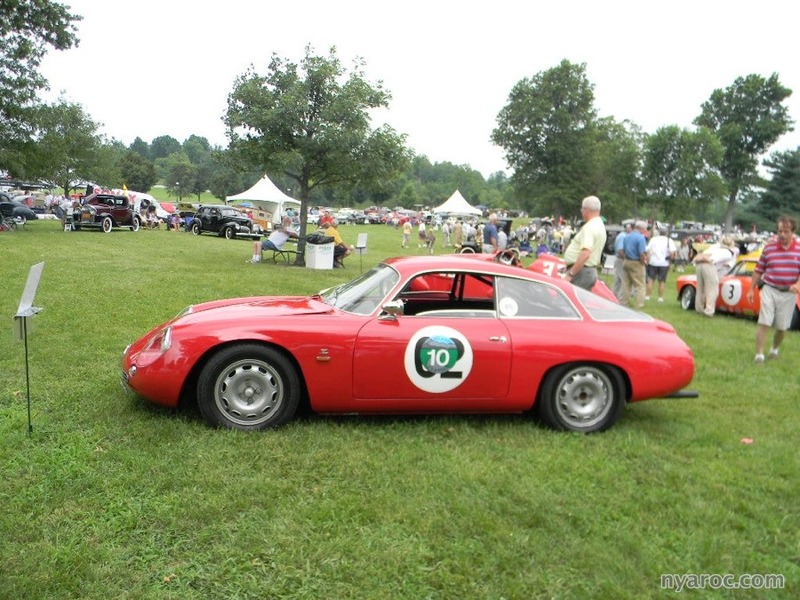 with an Alfa Rally logo on the driver door!!. 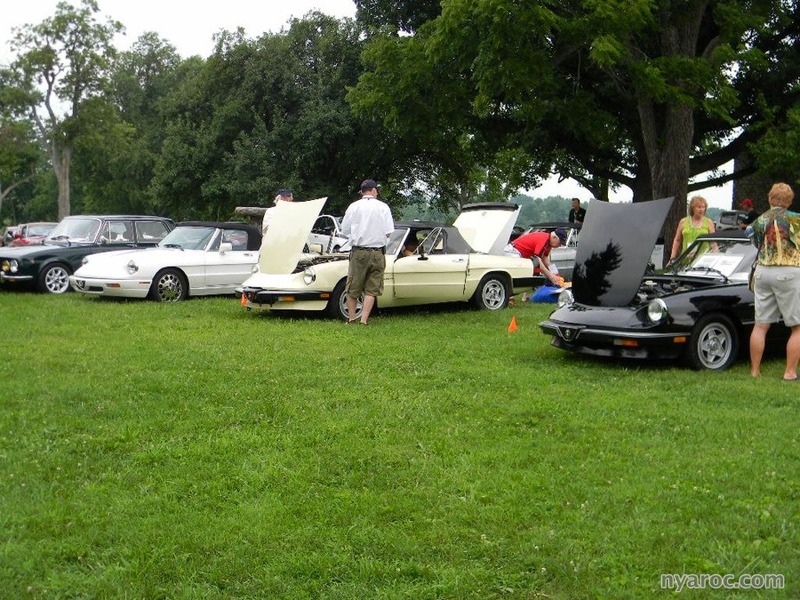 We started our drive from the Molly Pitcher Rest stop on the NJ Turnpike on July 13th and completed half the drive stopping over in Fairmont, Va for an overnighter. The drive through Western Maryland and West Virginia was unbelievable. 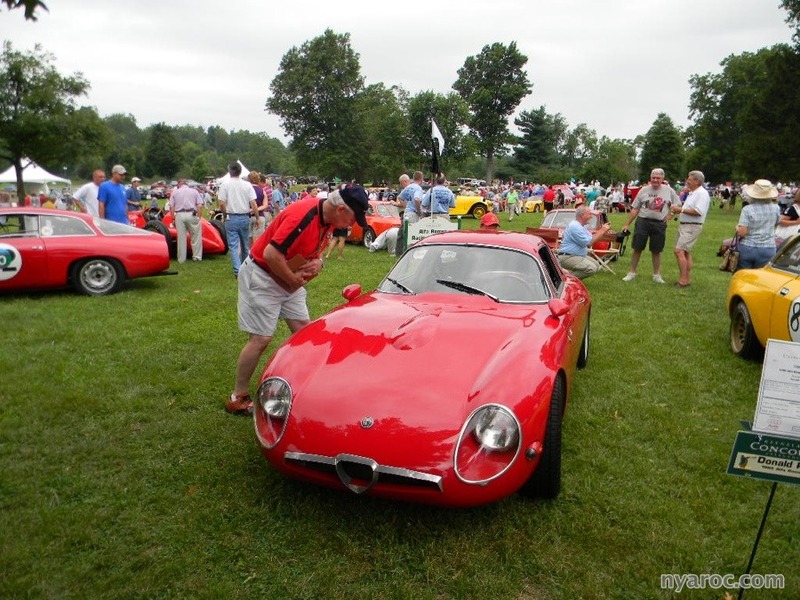 The roads wound their way through green mountains and valley’s perfect for Alfa’s. The views were stunning. We actually drove thorough the Cumberland Gap. 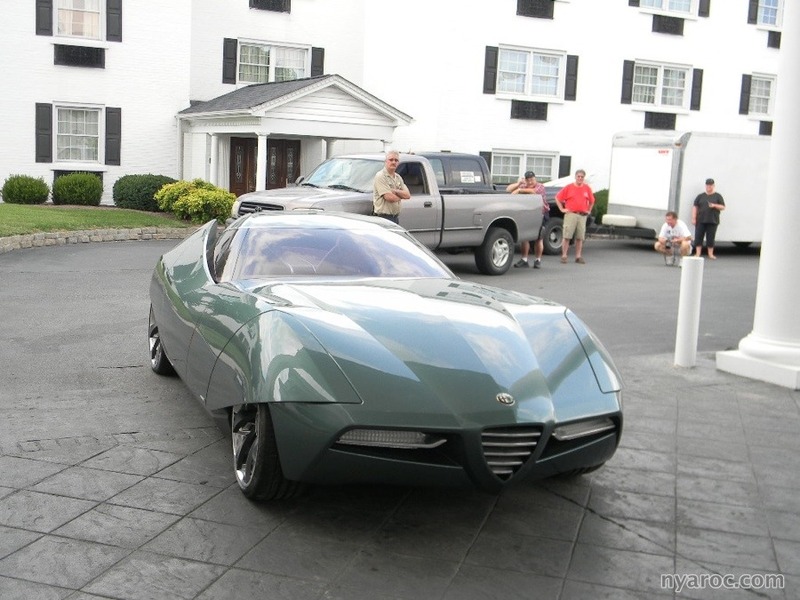 Continuing our drive on July 14th, we arrived in Lexington late afternoon at the Crowne Plaza Hotel. The Convention was well attended. 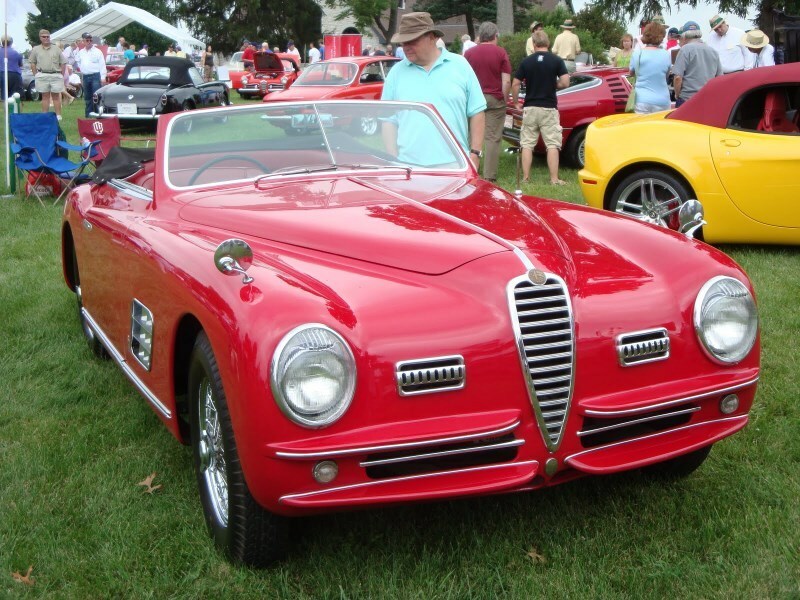 The keynote speaker was Keith Martin, publisher of Sports Car Market magazine and host of the cable TV program, What’s My Car Worth. 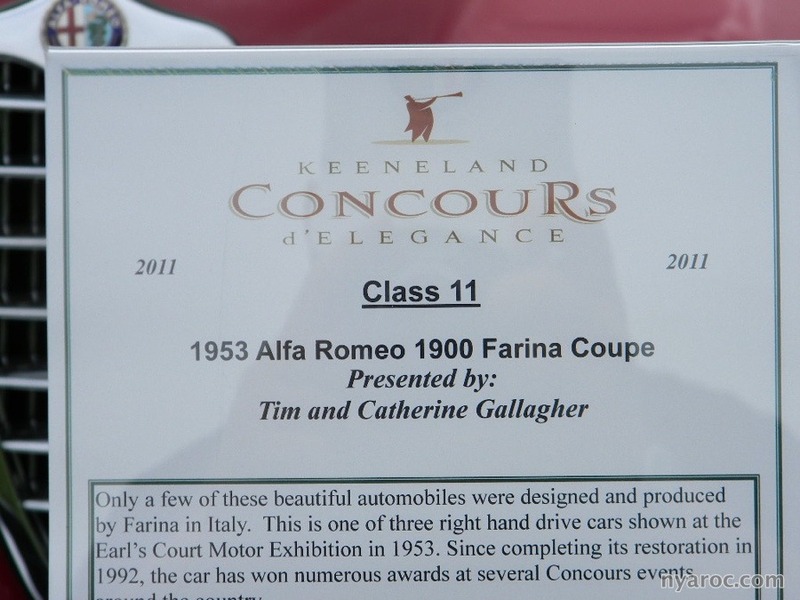 Keith gave a terrific speech on his involvement with sports cars and Alfa’s and the collector car market. 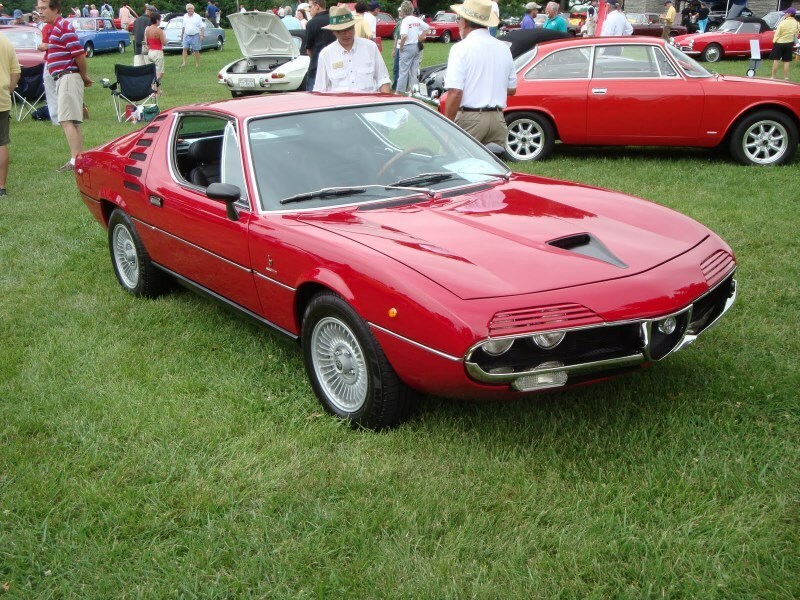 His main point was that buyers should not be afraid to pay up for a car in top condition, rather than spending less and having to invest 1000’s to get the cheaper car in top condition. 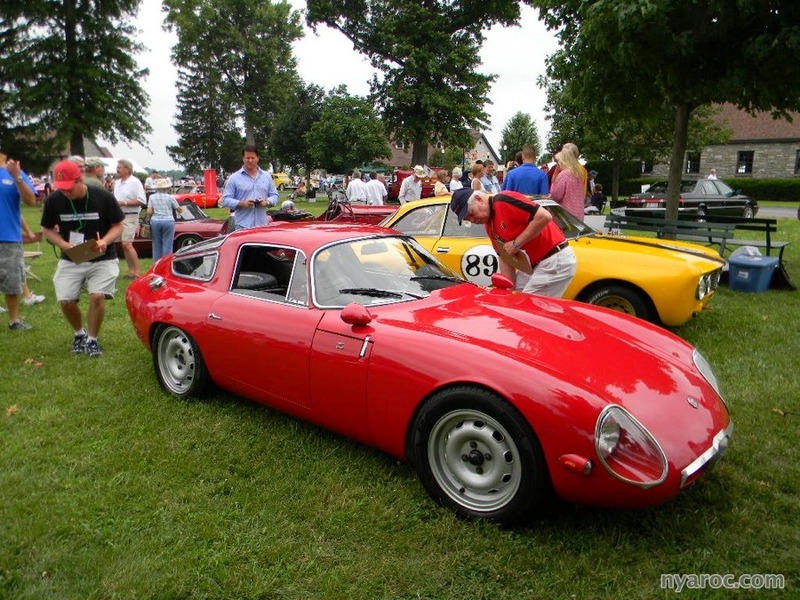 The Concorso was held at the historic Keeneland Race Track and was well attended. 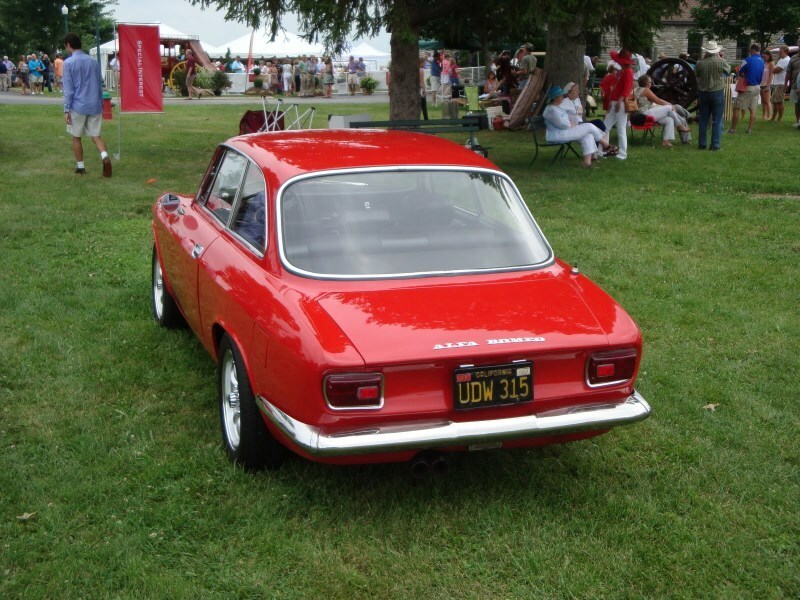 The attached pics show the large number or Alfa’s on display and the quality of the cars. The Gimmick Rally was a great time, unfortunately your NYAROC teams did not finish in the money!!! 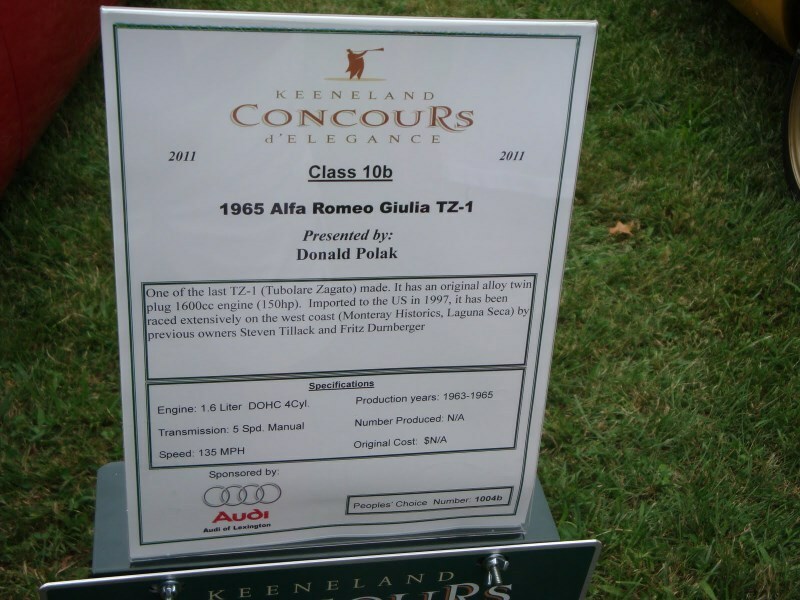 Congratulations go out to Frank LaSala from the Connecticut Alfa Club whose ’94 Alfa 164 LS was judged 1stin class at the Concorso.